As the death toll from a dump landslide soars in Ethiopia’s capital, residents want answers from authorities. When Werknesh returned to her home of 30 years last Saturday night, it was buried beneath a landslide of garbage. Her pregnant daughter and three grandchildren were dead. “Our children are covered under the soil. We didn’t know anything,” she told VOA’s Amharic Service in a phone interview. “It sounded like an explosion, and then covered everyone with soil. There are bodies that have not been found until now.” Six people died in her home that day, she said. 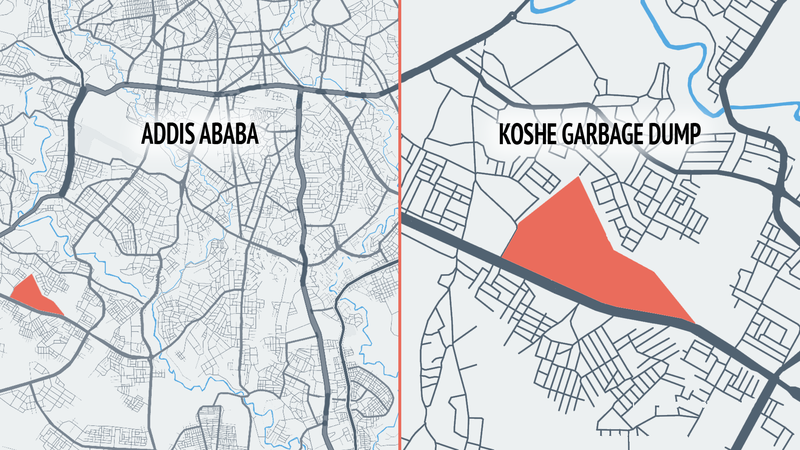 Werknesh’s family was among those killed in the March 11 landslide at the Koshe garbage dump, located in Kolfe Keranio, one of Addis Ababa’s 10 subcities. 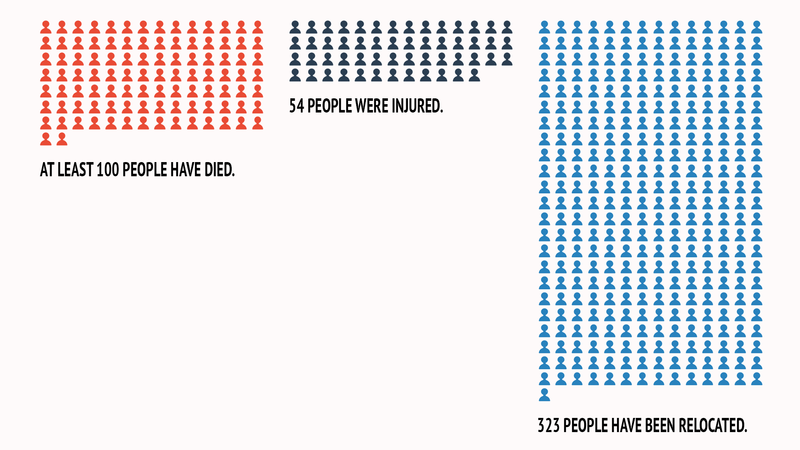 The death toll has reached over 100, with many women and children among the dead. Located in Kolfe Keranio, Addis Ababa’s most populous subcity, Koshe is a sprawling landfill, spanning about 1 kilometer along its longest side. Werknesh – who spoke on condition that her last name not be published — has recovered the bodies of her family and is preparing them for a funeral. She criticized officials for what she called their slow response. “The government didn’t even order an excavator. I had to pay for an excavator out of my own pocket,” she said. The landfill is more than 50 years old and home to over 300 people, some of whom live in makeshift cardboard and plastic shelters near its edges. 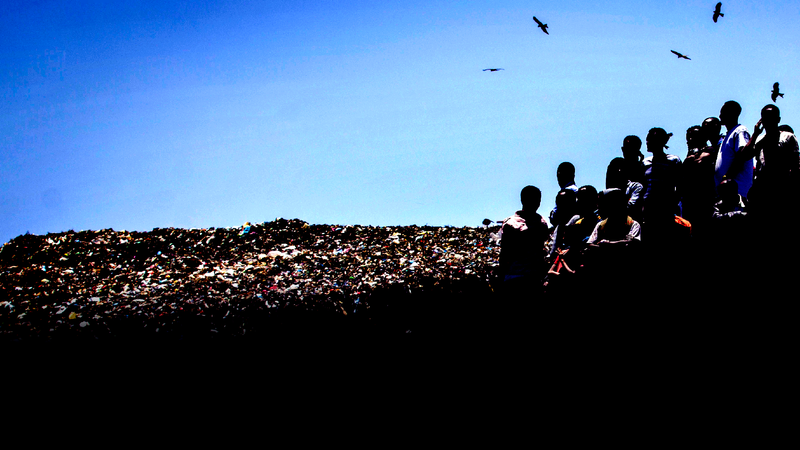 About 500 waste pickers climb the mound each day looking for recyclables and other valuable goods as vultures circle overhead. It is Addis Ababa’s largest dump, and about 300,000 tons of waste are added to the pile each year. The government has ordered three days of mourning, but people affected are still looking for answers. A young resident of the Koshe neighborhood who was mourning a family member told a VOA reporter in Addis Ababa that the accident felt like the end of the world. “What can I say? I felt like this was the apocalypse. What you see from this point on is dangerous. As you can see, it’s all hanging,” he said, gesturing to a rubbish pile. In the wake of the Koshe landslide, hundreds of people were killed, injured or displaced. The city’s mayor, Diriba Kuma, said that his administration is focused on helping people evacuate and avoiding additional loss. “We are making sure that they settle in places far away from the area, and we are also providing humanitarian assistance,” he said. The cause of the collapse is not yet known, but several survivors who spoke to VOA blamed the government for destabilizing the garbage by pushing it to one side. Others pointed to a biogas plant under construction, which connects to the landfill via pipes and wells. The U.N. Development Program is working with local authorities and Addis Ababa University to capture methane produced by decomposing organic matter at Koshe. Through the project, the city will receive revenue from the sale of carbon credits and aims eventually to close the landfill. For city administrators, helping victims of the landslide is not the only challenge. Despite unprecedented economic growth across the country, many residents in Ethiopia’s capital and largest city struggle to find employment and receive basic services. Over a quarter of households have an unemployed adult, and 22 percent of the city’s population live below the poverty line. Less than half of residents have reliable access to clean water, and under 30 percent have sewerage services, according to figures compiled by the World Bank in 2015. From 1994 to 2017, the population of Addis Ababa rose by 1.5 million people. It’s expected to double from 4 to 8 million in the next 13 years. A booming population means city officials will be further challenged to meet the needs of all inhabitants. 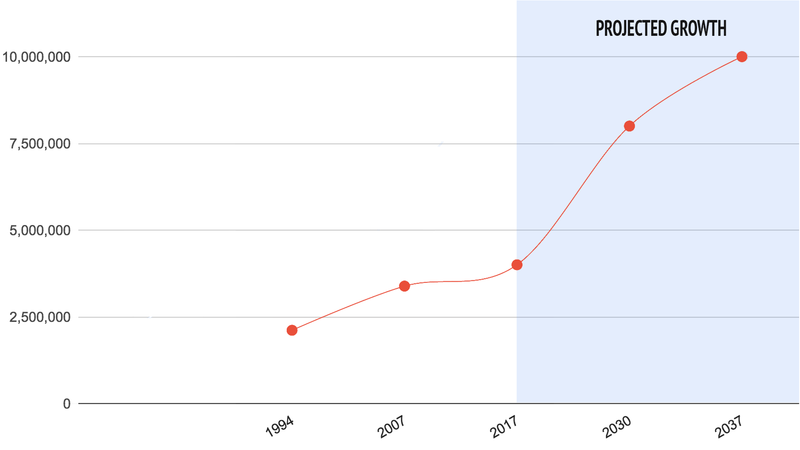 Addis Ababa has nearly doubled in size since the 1990s, and the World Bank projects its population will reach 10 million — more than twice the current size — over the next two decades. For now, residents of Koshe simply want the government to prevent future disasters at the landfill. In a tent set up near the site to mourn the dead, Aberash Aleneh said people want both answers and assistance. A version of this story originally appeared on the VOA News website.